(Cattle Exploitation - Rodeo - Calf Roping - 02) After having his tail painfully twisted and raked over a fence rail, this calf ran out of the chute at top speed to escape his torment. 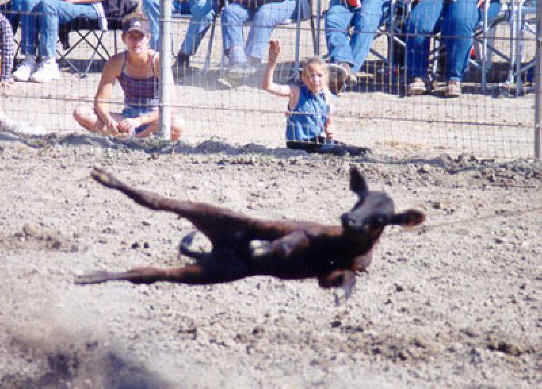 The calf is roped so violently she becomes airborne before slamming into the ground. 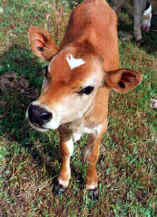 This process can break the calf's neck, back or legs.